Am I afraid of it? If so, run. If not, can I eat it? If so, eat. If not, can I play with it? If so, play. If not, sleep until #1, 2 or 3 occur. In String Theory, while Jason Blood visits the manor during a cosmic crisis, it is revealed that he speaks Mau-im-dwo, the ancient language by which the priests of Ancient Egypt spoke with divine and mortal cats. 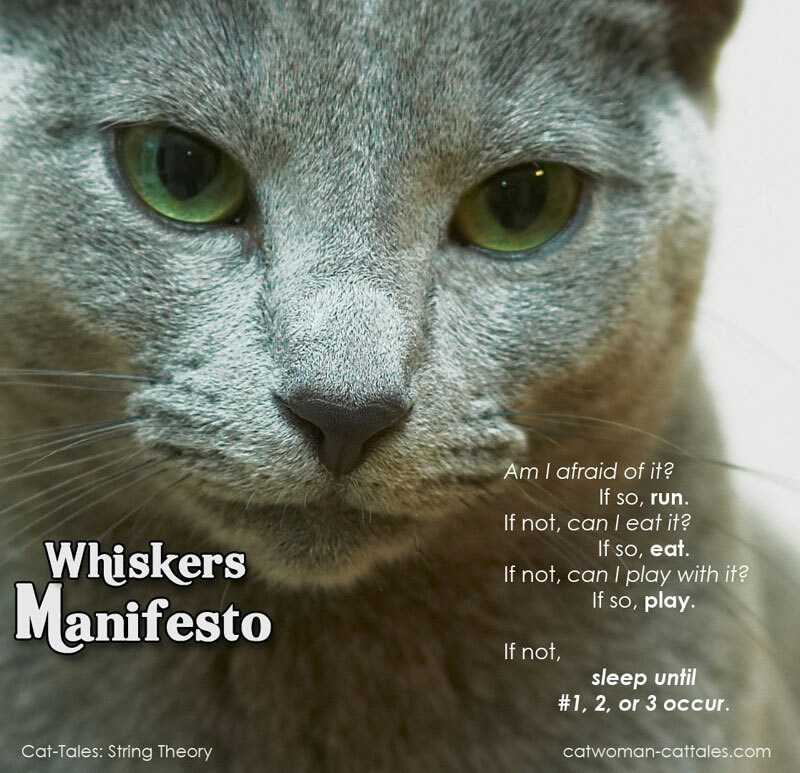 Selina’s cat Whiskers is kind enough to explain the Feline Design for Living, described here.